How did you get there? | Luke Barnett | Luke has worked on numerous award-winning documentaries and is often sought to advise and film using specialist cameras. Truth is, there is no set path to becoming a wildlife cameraman. Persistence, a love of natural history and adventure, an obsession with photography and a degree of selfishness all seem to be a common ingredients. Did I mention persistence ….. ? “A love of natural history, wilderness and adventure.” None of this made any sense to my career advice tutor at school. “It just won’t pay the bills Barnett.” A few years on, aged 22, I fled the open planned office of News International and adventured off around the world for a year to figure stuff out. I paused for the longest time on a Humpback whale survey on Stradbroke Island in Australia. It was there whilst watching a wildlife cameraman at work that my future slowly started to fall into place. In the days when I started on this road it seemed everyone in the Wildlife Filming industry was a Zoologist or a Biologist, with a PHD or a Doctorate. My route in had to be camera kit. I started with a spell at Arri in London learning how to load film cameras and was quickly addicted to the mechanics and magic of film. I then spent two years in a 35mm motion control studio in London, working on pop promos with the likes of Kylie Minogue and filming chocolate bars and models. This studio stint taught me old school film etiquette with top end delivery. The Wild-Screen festival eventually saw me bunk down in a Bristol hostel whilst looking for work but it was a brief spell at Ammonite that opened my eyes to the tenacity and genius that was required to make a mark in this industry. I realised that my way in was to go full kit geek, and then the BBC Natural History Unit (NHU) rang. 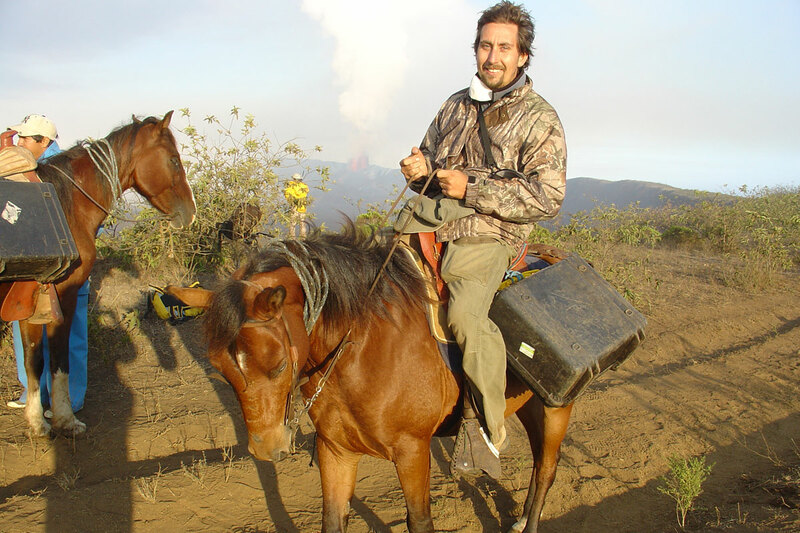 Riding a horse up to an erupting volcano. Galapagos. 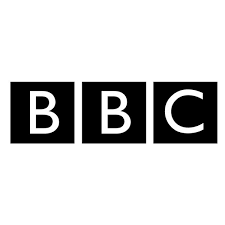 I was now working in the internal hire store for the BBC NHU. The location was a no windowed dungeon full of camera treasure from the early days of film. I often tested the cameras and would manage to sneak a few feet of film into development for myself and so learnt the basics. The films that inspired me most caught images in the best possible quality or with startling new cameras and techniques that showed things that we had not seen before. I was discussing kit, filming techniques and prepping equipment for the best cameramen in the world. I threw myself at helping to develop and understand how the kit worked. I brought new kit and shooting ideas to the NHU but it was finding and developing specialist kit that got me pulled out of my day job and on those filming trips around the world. Whilst at the BBC I helped move the NHU from film to tape and digital and then on to UHD. I introduced thermal imaging and helped develop infra-red filming from CCTV cameras to UHD. I often worked with other cameramen in the most amazing locations. From running away from erupting volcanoes in the Galapagos to climbing snow top mountains in Bhutan to being swept down the rapids of the Zambezi. I realised I could work as a cameraman for myself in my own right, collaborate with kit manufactures and consult to production. It was time to change gear. I have been a freelance cameraman for several years . I am still known for my kit geek qualities and very often the shoots I do involve high-end specialist equipment. (Infra RED Helium, Leonardo Thermal and Phantom Flex 4K). I am filming Natural History Blue Chip sequences and on occasion I get called to shoot dedicated title sequences for other genres. I spent years helping with a huge variety of kit and have an understanding of how so many cameramen work across many subjects. It is this insight that allows me to enjoy a variety of filming techniques and deliver high quality material.